The career of computer visionary Grace Murray Hopper, whose innovative work in programming laid the foundations for the user-friendliness of today's personal computers that sparked the information age. Hopper's greatest technical achievement was to create the tools that would allow humans to communicate with computers in terms other than ones and zeroes. This advance influenced all future programming and software design and laid the foundation for the development of user-friendly personal computers. Addresses the global challenge of recruiting girls and women into majors and careers in information technology. The studies are both illuminating and prescriptive for designing and implementing intervention programs. An essential tool for college faculty and advisors who implement activities and programs designed to promote the success of women in science and engineering, as well as those who fund these programs, academic researchers, K-12 educators, and IT industry professionals committed to a diverse workforce. In the mid-nineteenth century, the Harvard College Observatory began employing women as "human computers," to interpret the observations their male counterparts made via telescope each night. As photography transformed the practice of astronomy, the ladies turned from computation to studying the stars captured nightly on glass photographic plates. The "glass universe" of half a million plates that Harvard amassed over the ensuing decades enabled the women to make extraordinary discoveries. They helped discern what stars were made of, divided the stars into meaningful categories for further research, and found a way to measure distances across space by starlight. Their ranks included Williamina Fleming, a Scottish woman originally hired as a maid who went on to identify ten novae and more than three hundred variable stars; Annie Jump Cannon, who designed a stellar classification system that was adopted by astronomers the world over and is still in use; and Dr. Cecilia Helena Payne, who in 1956 became the first ever woman professor of astronomy at Harvard--and Harvard's first female department chair. 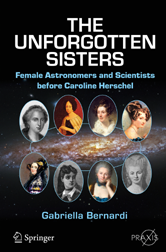 The Glass Universe is the hidden history of the women whose contributions to the burgeoning field of astronomy forever changed our understanding of the stars and our place in the universe. Hidden figures by Melfi, Theodore, film director, screenwriter, film producer. Discusses a range of issues: revaluating the sciences in premodern high cultures of China, Africa, and the Andes; disputes over science's legitimation of culturally approved definitions of race difference, from craniology to the measurement of IQ; and visions of programs that create sciences for a democratic world community. From one of Time Magazine's "Forty Most Influential Minds in Technology" comes an essential collection of candid, first-hand accounts of women in technology. Women in technology are on the rise in both power and numbers, and now it's more important than ever to not lose that momentum, to "lean in" and close the gender gap. Ample evidence has been provided that women historically have suffered numerous social, political, and institutional barriers to their entrance and success in the sciences. 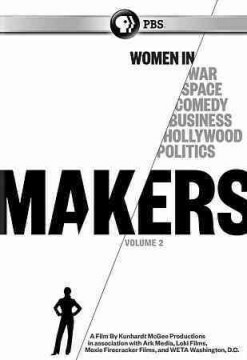 The articles in this anthology refocus the discussion and reflect the interdisciplinary nature of the issues surrounding women in the sciences. While the barriers that women have faced as researchers, subjects of research, students of science, and theorists have been well documented, this anthology breaks new ground. It presents the ways women succeed in the sciences, overcome these historical barriers, and contribute to the social practice of science and the philosophy of science in both theory and practice. This work examines women's reactions to computers and what the prospects are for women working in computing. It is based on the author's experiences during 30 years of continuous employment in computing, much of it in a university environment. The book considers women as end-users using computers for clerical and administrative work, and examines the potential of computers for domestic work in the home. 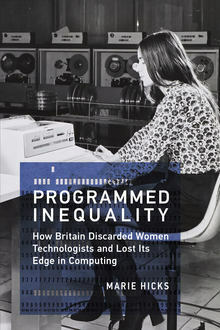 It looks at the work of women and men who design the basic software to make the machines run at all and the environment in which decisions are made; this scene is examined from the point of view of the female workforce. Who are the women who became engineers in the 1970s and 1980s? How have they fared in the most male-dominated profession in America? This is the first book to answer these questions. It explores the backgrounds, family lives, work experiences, and attitudes of engineers in order to explain the unequal patterns of career development for women, who generally hold lower positions and receive fewer promotions than their male counterparts. McIlwee and Robinson synthesize two theoretical approaches frequently used to explain the status of women in the workforce--gender role and structural theories--providing new insights into improving women's careers in traditionally male occupations.